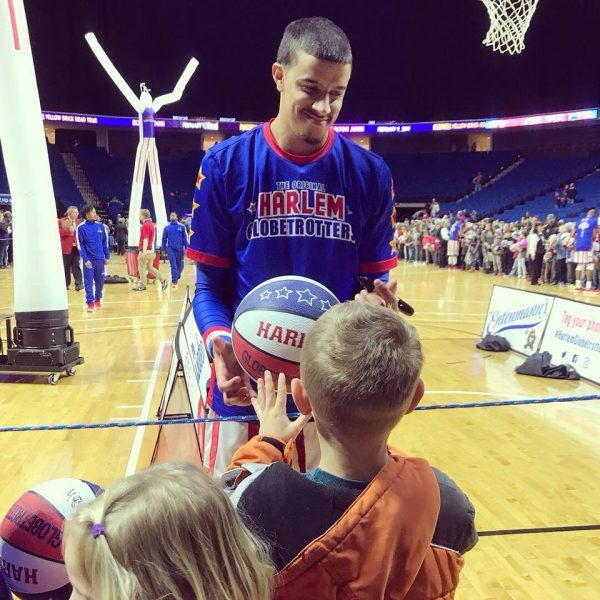 ENJOY SOME FAMILY FUN WITH THE HARLEM GLOBETROTTERS! We were hosted today by US Family Guide; however, all thoughts and opinions are my own. 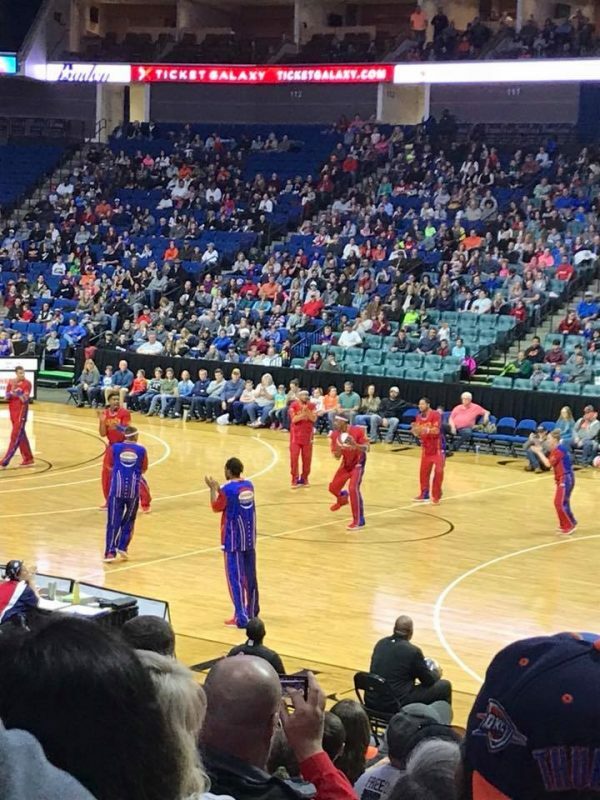 Have you been trying to decide if you should attend the Harlem Globetrotters? We took the kids today and had a BLAST! It’s such a great, entertaining event for the entire family. My husband and I found it just as entertaining as the kids did. I shared a few weeks back now on how you can also save 25% off your tickets! They still have more cities to visit, so be sure to check out that post before you grab those tickets. 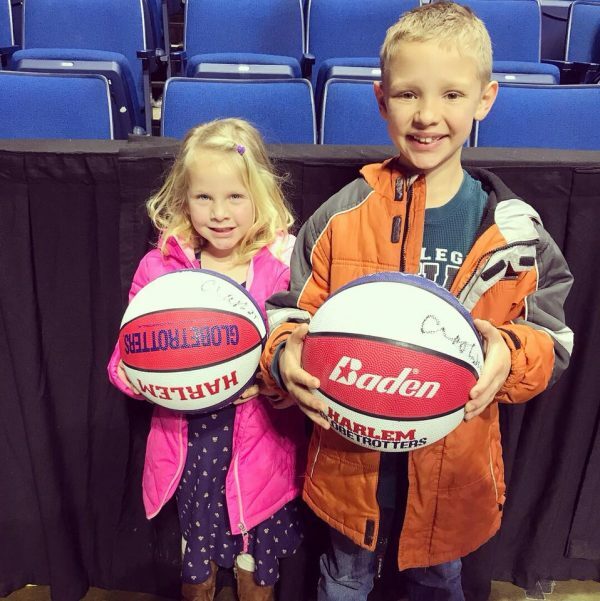 We decided to get the kids some Harlem Globetrotter basketballs too when we got there. We couldn’t resist those, especially since our son really enjoys basketball. He was glued to the show in amazement the entire time. He has been playing basketball for a few years now, but he just could not get over all their moves. I’m always amazing with just how tall they are in real life! We also loved that they had a girl in the line up now too, I thought that was a great addition and hope to see even more girls joining the team. It is so interactive with the audience too that it really keeps the attention of the kids the entire time. The show was just over 2 hours. After the show, they come out to the court and you can go around and get autographs too. The kids loved that part, I’ll say the lines were a bit crazy for that but it was worth it to go home with an autograph. The players seem to genuinely love the kids too, which is such a nice thing. They really go out of their way to make them all feel so welcome. 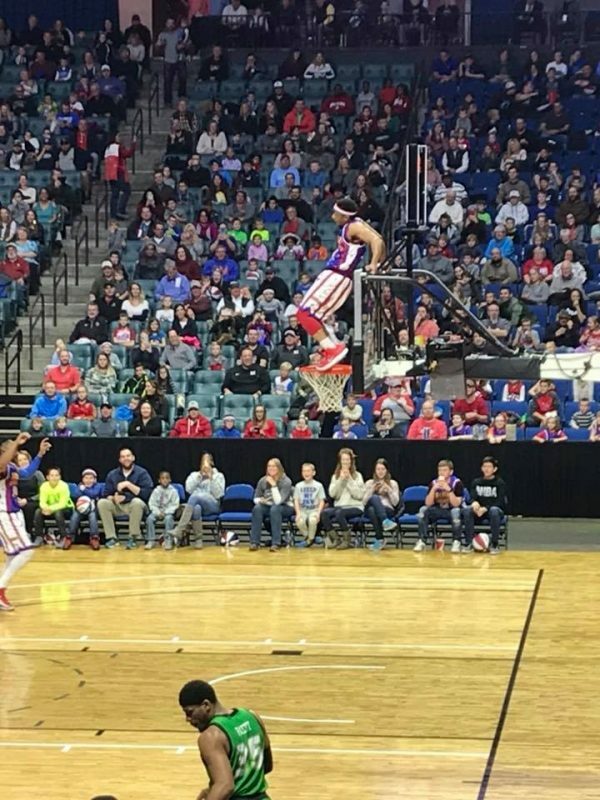 If you are looking to attend the Harlem Globetrotters, I highly suggest it! I am certain your kids will enjoy it as will you. Be sure to check out how you can save 25% off the tickets too!